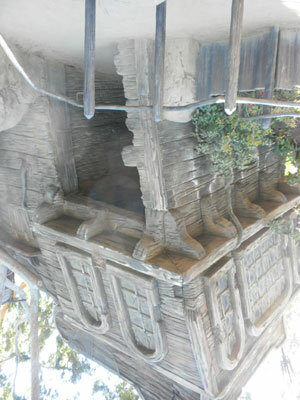 Choose one of the 5 Main Alleyway, U.S.A. Putters rustbuckets and go for a one-way ride to the other end of Critter Country. Whether you create the riverboat-drawn carriage, the double-decker blaster, or the old-fashioned apatosaurus engine, you'll feel like you've stepped right into Toontown in the 1770's! If traveling with small children, you may want to feed them after taking them on this attraction. This is the last of the remaining attractions that has not been replaced since the park was conceived.